 Goldilocks day nursery was established in 1990 and has cared for and supported many families over these years. We aim to offer a home from home experience to all the children that attend Goldilocks. Quality care and education is at the heart of all we do day to day to ensure all the children feel loved and supported throughout their day. The Nursery is sensitive to the needs of new parents as well as the child, especially during a potentially difficult settling in period. Good liaison with staff at this time is essential. A key person takes responsibility for new children starting and a bond is encouraged but it is also important for the children’s development and socialisation that they respond well to other members of staff this is supported by our keyperson bubby system and good working relationships with the teams. Goldilocks comprises of 5 rooms, Rabbits ( 8 weeks – 18months, Squirrels (18 months – 28 months ) Badgers (28 months – 36 months ) Bears 36months – School leaver ) We also have our Cubs room which were we offer term time only sessions 9.15am -2.15pm, the age range for this room is 2.5 yrs. – 5 yrs. Children ideally move through the nursery when they are developmentally ready. Once this has been discussed with the family and are happy for their child to transition we will start short regular visits. This enables children to become familiar with the new space and begin to build a bond with their new Key Person. We transition children with peers where possible as we have noticed this supports their transition. Each room has their own routine and plan of activities which are displayed for parents. There is provision for all children to rest during the day. Sleeping arrangements are always discussed with parents. For Babies under approximately 18 months cots and a separate sleep area is provided. Older children sleep on mats and have a sleep according to their needs. Older children who do require a daytime sleep have a quiet time appropriate to their needs. We provide bedding for our eldest children. We have been awarded 5 stars by Environmental Health for food safety, the top mark that can be awarded. We work alongside the Nursery Food Catering Company, whom prepare our hot lunches and puddings. This ensure that the meals are made with fresh ingredients and in line with the children’s food trust, for their salt, sugar and fat contents. Snacks are prepared on site by the nursery cook. WE DO NOT USE NUTS IN THE NURSERY. Nutritious and well balanced meals are provided throughout the day. Breakfast is available until 8.30am at an additional charge. Milk or water is provided at 10.00am. A home cooked 2 course lunch is served between 11- 12.00pm. Staff are encouraged to eat with the children where appropriate to ensure home dining experiences. A snack is provided at 3.00pm, which includes fresh fruit or yoghurt. We offer water or milk for the children to drink and drinking water is always available. Staff are asked to encourage children to relax whilst eating and to respect children’s individual speed of eating. Children are encouraged to enjoy meal times as social occasions, using good table manners and sensible behaviour. In Bears the children participate in helping to lay the table and serve themselves. Allergies and specific dietary requirements can be catered for if previously discussed with the Nursery Manager/Deputy Manager. We do ask for parents of children under the age of 1 yr to provided all the food for their child. We are delighted to inform you that Goldilocks has to state-of-the-art CCTV viewing every classroom and outdoor areas, allowing management to monitor the activities throughout the day. All policies are available on request, there is also a policy folder for parents available in the entrance hall.